At Indian Point 2 and 3 there have been frequent accidents and issues involving releases of radioactivity through the years. The discharges of tritium or irradiated water, H30, which cannot be filtered out of good water, into the aquifer below the Westinghouse nuclear plants and also the Hudson River have been a major concern. The film premiered at the Tribeca Film Festival last year. For the past two weeks it has been showing five-times-a-day at the Film Society of Lincoln Center, also in Manhattan. That run will go until Thursday, July 21. On Friday, July 22, it is to open in Los Angeles. After its theatrical release, it will air on the Epix cable TV channel. 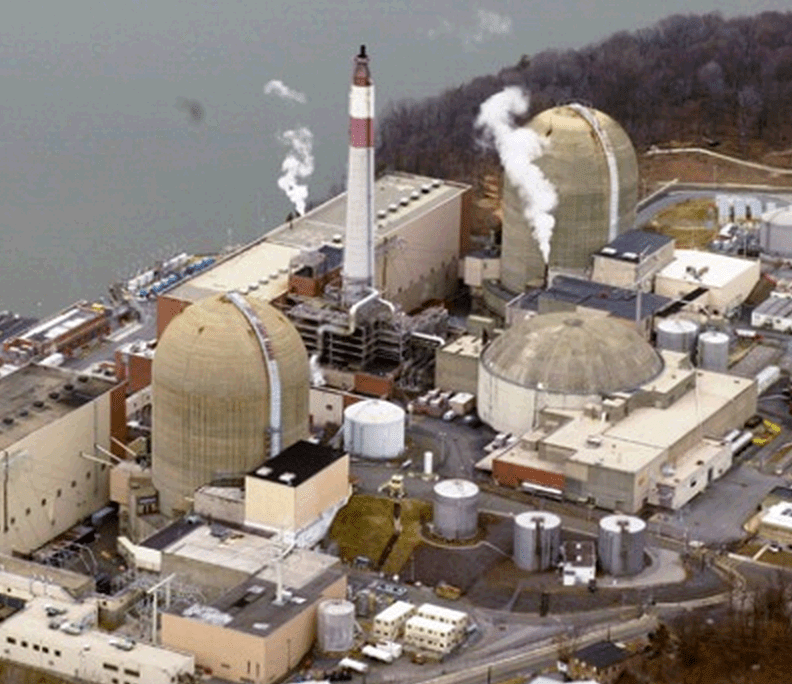 Among those in the film are anti-Indian Point activist Marilyn Elie and long-time environmental journalist Roger Witherspoon who has written extensively about Indian Point. And also Entergy employees appear. Meeropol and her crew were given full access to the nuclear plants. So the experienced filmmaker started doing research on the “dangerous endeavor of making nuclear energy.” With the Fukushima disaster beginning just a few months after she started on the film, that “broadened” its perspective. Meanwhile, Indian Point sits there on the Hudson, continuing with accidents and in emitting what the NRC says are “permissible” levels of radioactivity. They are highly likely candidates for a Chernobyl or Fukushima-level catastrophe in the most highly populated area of the United States. And the NRC, steadfastly ignoring Jaczko’s warnings, in league with Entergy, seeks to let the decrepit time bombs run for another 20 years—just asking for disaster. The good news is that New York State Governor Andrew Cuomo has been endeavoring to have the Indian Point nuclear plants closed and safe-energy activists and an array of environmental and safe-energy organizations are working hard to shut them down—and the film “Indian Point” is out.